November is somehow always my busiest month, and this year is no exception. I have two huge announcements for readers! I haven’t been to Equine Affaire since 2016, so I am thrilled to come back November 10-11 to sign books and chat with readers! I’ll be at the wonderful Taborton Equine Books on Saturday from 1 – 4 PM & 5 – 7 PM. Then again on Sunday, 10 AM – 1 PM. Please come over to say hello! Bring your books if you’d like them signed, or there will be plenty on hand from Taborton’s inventory as well. This is always one of my happiest weekends of the year, because we all come out from behind our computers and actually get to chat and maybe hug and it’s just wonderful. I’ve just uploaded all thirty chapters of the sequel to SHOW BARN BLUES to Patreon. These are the unedited chapters of my manuscript, the same ones that go to my editor and beta readers for fixing and commenting. You can read them right now, plus get a download of the finished edition on publication day, when you subscribe to Patreon for $5 a month. Chapters 1-15 are available now, and Chapters 16-30 will upload every day, tomorrow through November 19. I haven’t decided on a pre-order date or final publish date yet, so if you’re looking for early access, plus lots of other unpublished bits of story and chapters, Patreon is the place to be! Finally, a huge thanks to all of my current Patreon subscribers, of all levels. Your support has allowed me to give up freelancing, spend all of my “free time” on writing this novel, and even covered my expenses in getting to Equine Affaire this year. There is simply no way I could have finished HORSES IN WONDERLAND this year without you. 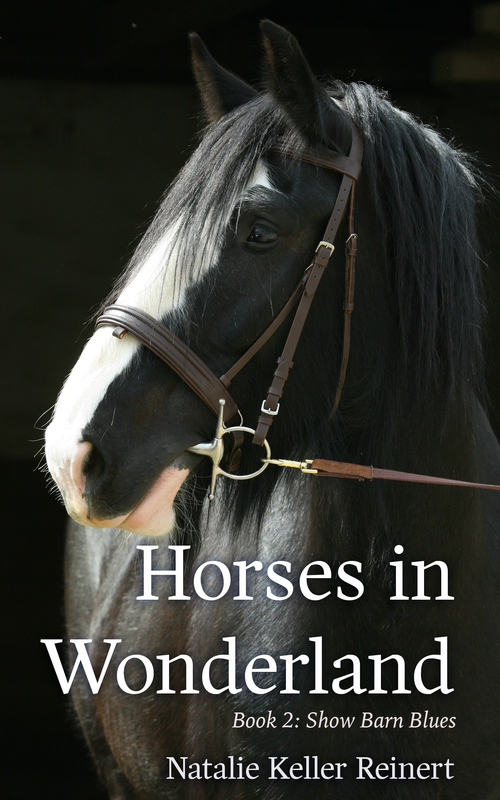 Equestrian Fiction is powered by readers! Visit Patreon here to see what it’s all about.